Texas Detective Agency Insurance. Detective or investigative agencies search for and develop facts and information for their clients, which may include individuals and businesses. Most states require detective agencies to be licensed. While some carry firearms, they do not have police authority. The agency may perform general investigative services or specialize in such areas as child custody disputes, pre-employment background checks, relationship conflicts, or missing persons. While much of their work is simply gathering information, they may be hired to obtain evidence, such as interviews or photographs, for civil lawsuits, or work with insurance adjusters to investigate suspicious claims. They may serve summons or subpoenas for courts, locate debtors, or bail jumpers who run off, or work undercover to document suspected criminal activity. From gathering information to pinpointing the details about a particular individual, group of people, or even entire organizations, as a detective, you perform a variety of duties for the clients that secure your services. There's no doubt that your work is important, but there are a number of risks associated with owning and operating a private investigations firm. In order to safeguard your business, your clients, your staff, and yourself, having the right type of insurance in place is crucial. Why do detective agencies need insurance? What policies do detectives need and how much coverage should they carry? Find out more about Texas detective agency insurance below. Texas detective agency insurance protects your investigative services business from lawsuits with rates as low as $57/mo. Get a fast quote and your certificate of insurance now. Why Is Insurance So Important for Detective Agencies? The professionals within your detective agency are specially trained to provide surveillance, conduct searches, and offer protection for the clients that hire you; among other services that you may provide. You acquire personal information and share it with your clients, you work undercover, you deal with the public, and you are constantly exposed to various threats. What would you do if someone filed a lawsuit against you, claiming that you were harassing them? What if a client stated that you failed to deliver the services you said you would provide? What if a client or a vendor tripped, fell, and sustained an injury while visiting your office? What if a member of your staff was injured while performing work-related duties? As the owner and operator of the detective agency, you would be held liable for all of these scenarios, which means that you would also have to pay the expenses that are associated with them; medical bills, property damages, legal fees, etc. Having to pay for these expenses out of your own pocket could put you in a serious financial predicament that could potentially lead to bankruptcy; however, if you have the right type of insurance coverage, your insurance company would pay for these costs, which means that you will avoid the repercussions of such exorbitant expenses. In other words, Texas detective agency insurance protects you from paying the astronomical fees that are associated with the risks of running a business like yours. What Type Of Insurance Coverage Should Private Investigators Carry? Commercial General Liability - This type of coverage protects you from any third-party bodily injury and property damage claims that may be filed against your agency. For instance, if a vendor slips and falls while making a delivery to your office, sustains an injury, and files a lawsuit against your business, if you have a commercial general liability policy, your insurance provider will cover the cost of any medical care the individual needs, as well as any legal fees that may be associated with a lawsuit. Commercial Property - Whether you lease or own the property that you operate your detective agency out of, you'll want to have a commercial property policy. This type of insurance protects the commercial space, the items within it, and some of the exterior surfaces and structures from various types of risks, including storm, fire, and water damage, vandalism, and theft. If someone breaks the windows on your commercial property and spray paints graffiti on the walls, commercial property insurance will help to cover the cost of any necessary repair or replacement fees. Workers Compensation - If you employ a staff, even if it's just a handful of people, you'll also need to carry a workers comp policy in most US states. This coverage assists with any medical care that your employees may need if they suffer a work-related accident or illness. It will also cover a portion of the employees' lost wages while recovering, and can even pay for training in a new field, if he or she is unable to return to the previous position held. Premises liability exposure is very limited at the office location due to lack of public access. The primary exposure is off site. Depending on services offered, potential for causing either bodily injury or property damage may be considerable. Investigative operations may place workers in a trespass situation. While legal and permissible information gathering is important, the agency must be careful not to infringe on the lawful rights of others. Background checks, monitoring, and supervision of all employees are required. Personal injury exposures include breach of confidentiality, libel, slander, trespass, invasion of privacy, and unlawful detention. These often fall under the professional liability coverage. Professional liability exposures vary with the services offered. Where only research is involved, the hazards are minimal: the detective obtains the required information (current address, prior business activity, lawsuits or criminal record), and provides it to the client. The exposure may be severe in cases of relationship or child custody disputes, tracking down debtors or bail jumpers, and similar investigations. In these cases, the detective may serve as a witness in court. Any inaccuracies or failure to document adherence to legal and professional standards may have serious consequences. If force or threat of force is used, the personal injury hazard, in addition to potential invasion of privacy risks to the client, may also carry with it the assertion by alleged perpetrators of wrongful detention or unreasonable use of force. If the investigator carries firearms, all federal, state, and local statutes must be followed. Training, supervision, and monitoring are crucial. There should be a written contract with each client explaining services and offering advice. These agreements must be signed by the client, including acknowledgments of services that were recommended and not taken. Workers compensation exposure can be very high. If most of the work is done in the office and on computers, potential injuries include eyestrain, neck strain, carpal tunnel syndrome, and similar cumulative trauma that can be addressed through ergonomically designed workstations. Off-site, the hazards become more serious as detectives are working in unfamiliar environments. Detectives often work alone in dark or high-crime areas. Check-in procedures, instruction, and training on how to handle emergency situations are all important to review. Any firearm use by employees must be permitted only after there is extensive training and periodic recertification. Without firm procedures regarding firearm ownership, handling, and storage, hazards may increase dramatically. Any specialized work, such as chartering aircraft or watercraft, significantly increases hazards in the workers compensation and liability areas. Property exposures are generally limited to those of an office, although there may be some vehicle storage. Ignition sources include electrical wiring, heating and air conditioning systems. Hazards arise from the storage of photos and records, which may be in paper or electronic format. Firearms and electronic equipment can be targeted by thieves. Appropriate security controls should be taken including physical barriers to prevent access to the premises after hours and an alarm system that reports directly to a central station or the police department. Crime exposure may arise from employee dishonesty, including theft of customers' property as detectives often have open access to customers' premises. Hazards increase without proper background checks and monitoring procedures. Inland marine exposures consist of accounts receivable if the agency offers credit, computers, mobile equipment, and valuable papers and records for customers' and surveillance information. Mobile equipment includes surveillance equipment, radios, base station, walkie-talkies, and other items the investigators carry with them or in their vehicles. These can be damaged by fire, theft, wind, collision, or overturn. All equipment must be secured and locked up when not in use. Hazards may increase in the absence of procedures to ensure proper accounting of all equipment. Business auto exposures can be extensive during investigations, particularly while traveling to and from information sources. If company vehicles are supplied for use, there should be written procedures in place regarding personal use by employees and their family members. All drivers must be licensed with acceptable MVRs. All vehicles must be well maintained with documentation kept in a central location. Protecting your private investigation with the right type of insurance is crucial for your overall success. To find out exactly what type of Texas detective agency insurance you need and how much coverage you should have in place, speak with a reputable insurance broker who knows your business. 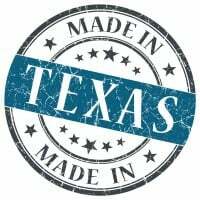 If you are considering opening up a business in the Lone Star State, you first want to make sure that it is a sound location for your operations. That means that you should understand some key information related to the state's economy, as well as the types of insurance coverages that businesses are legally required to carry. In terms of the economy, Texas offers fantastic news for those who are thinking about starting up a business in this state. That's because the Lone Star State has the second largest economy of all 50 states in the nation. The gross state product is valued at an estimated at over $1.706 trillion in 2019. In 2015, the state was the headquarters for six of the top 50 Fortune 500 companies. As expected, several industries contribute to the economy of Texas. One of the most notable industries is agriculture. In fact, this state has the highest production of cattle, sheep, and goat products. It is also the largest producer of cotton and cereal crops. Other crops that this state is famed for include cantaloupes, watermelons, and grapefruits. If you are considering going into business in TX, having an operation in any of these industries will likely afford you success. The Texas Department of Insurance regulates is the main insurance regulatory agency in the Lone Star State. Texas is quite lenient when it comes to insurance requirements for business owners. In fact, there is only one type of insurance that business owners are legally required to carry, and that is commercial auto insurance. If you are planning on using a vehicle for anything related to your business, whether it's making deliveries, transporting goods, or meeting with clients, you must have a commercial auto insurance policy. While Workers' Compensation coverage is required in every other state, in TX, is it not mandated; however, if you decide not to carry this type of coverage, you will be required to offer your employees some type of incentive package in the event that the do become injured or develop a work-related illness. Request a free Texas Detective Agency insurance quote in Abilene, Allen, Alvin, Amarillo, Arlington, Austin, Balch Springs, Baytown, Beaumont, Bedford, Benbrook, Big Spring, Brownsville, Bryan, Burleson, Carrollton, Cedar Hill, Cedar Park, Cleburne, College Station, Colleyville, Conroe, Coppell, Copperas Cove, Corpus Christi, Corsicana, Dallas, DeSoto, Deer Park, Del Rio, Denison, Denton, Duncanville, Eagle Pass, Edinburg, El Paso, Euless, Farmers Branch, Flower Mound town, Fort Worth, Friendswood, Frisco, Galveston, Garland, Georgetown, Grand Prairie, Grapevine, Greenville, Haltom City, Harker Heights, Harlingen, Houston, Huntsville, Hurst, Irving, Keller, Kerrville, Killeen, Kingsville, Kyle, La Porte, Lake Jackson, Lancaster, Laredo, League City, Leander, Lewisville, Little Elm, Longview, Lubbock, Lufkin, Mansfield, Marshall, McAllen, McKinney, Mesquite, Midland, Mission, Missouri City, Nacogdoches, New Braunfels, North Richland Hills, Odessa, Paris, Pasadena, Pearland, Pflugerville, Pharr, Plainview, Plano, Port Arthur, Richardson, Rockwall, Rosenberg, Round Rock, Rowlett, Sachse, San Angelo, San Antonio, San Benito, San Juan, San Marcos, Schertz, Seguin, Sherman, Socorro, Southlake, Sugar Land, Temple, Texarkana, Texas City, The Colony, Tyler, University Park, Victoria, Waco, Watauga, Waxahachie, Weatherford, Weslaco, Wichita Falls, Wylie and all other cities in TX - The Lone Star State.